_MAL2229.jpg, originally uploaded by Michael A. Lowry. On the way (coming or going — I don't remember), I snapped this photo of the cherry blossoms on the tree outside the front door of my apartment building. 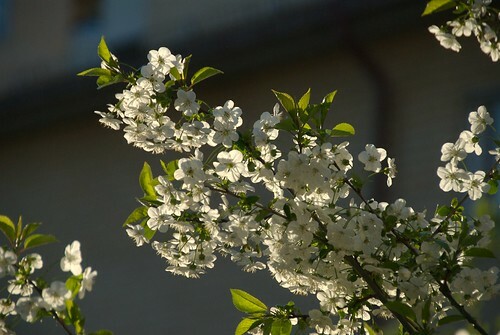 The sun was just about to set in the West, and the blossoms were illuminated from behind. Lovely!